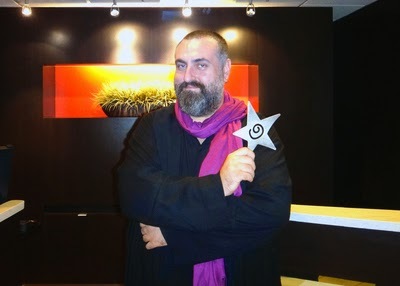 Rahman Altin and THE BUTTERFLY’S DREAM were named Best Film Score at the 15th Moondance International Film Festival in Boulder, CO, on September 28, 2014. 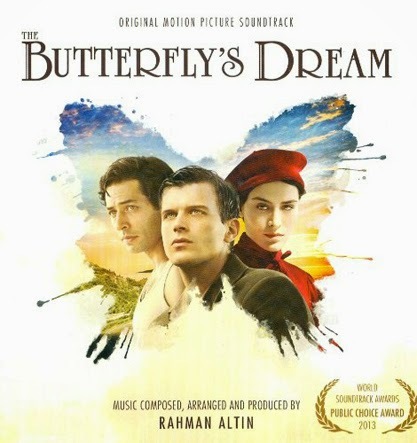 Altin and THE BUTTERFLY’S DREAM had previously earned four other international film score awards, the 13th World Soundtrack Academy’s Public Choice Award (Gent, Belgium), 15th Milan International Film Festival Best Film Score Award (Milan, Italy), 19th Kral Turkish Music Awards [Turkey’s equivalent of MTV] - Best Film Score Award (Turkey) and Best Film Score at the 46th Siyad Movie Awards [Film Critics Association]. THE BUTTERFLY’S DREAM is the biggest film to ever be produced in Turkey. Upon release, Rahman’s soundtrack immediately became the No.1 bestseller in the country. The Soundtrack reached in total of 860,000 plays in Turkish Music Portals. Rahman Altin is an award-winning Film, TV and Video Game Composer, Songwriter and Producer who is based in both Los Angeles and Istanbul, Turkey. He has served on numerous international juries for film, TV and advertising music awards. Rahman has been working and developing TV Teaser Campaigns, Trailers, Commercials, TV and Internet Promos for high-profile US clients such as: Warner Brothers, Lucas Film Ltd., HBO, DreamWorks, Sony Pictures, ActiVision, Picnic Hippo, Section 9 Entertainment, Remote Control and Static Music. He also composed and produced a comprehensive Trailer and Commercial Music Catalogue, consisting of over 120 tracks. It was published by L.A.-based Static Music, one of the leading forces in the Trailer Industry since 1999. Rahman is an Opera Singer who has composed for the Ballet, Modern Dance, Theatre and Performances. In Turkey, he composed two of the biggest productions of modern dance with the Turkish State Opera and Ballet, which wound up playing a combined 11 years in total. Subsequently, he composed for some of the biggest fashion shows during New York Fashion Week in 2003, 2004 and 2006, Istanbul Fashion Week in 2010 and 2011. He won three "Best Film Music" awards with his film score for the 2006 epic WAITING FOR HEAVEN. In 2011, Rahman was chosen to be the face of Johnnie Walker’s global “Keep Walking” series of commercials. To relax from his busy international career, Rahman collects from his favorite film series of all time, STAR WARS. To date he boasts the second largest STAR WARS collection in the world. THE BUTTERFLY’S DREAM is currently available on CD and DVD online.